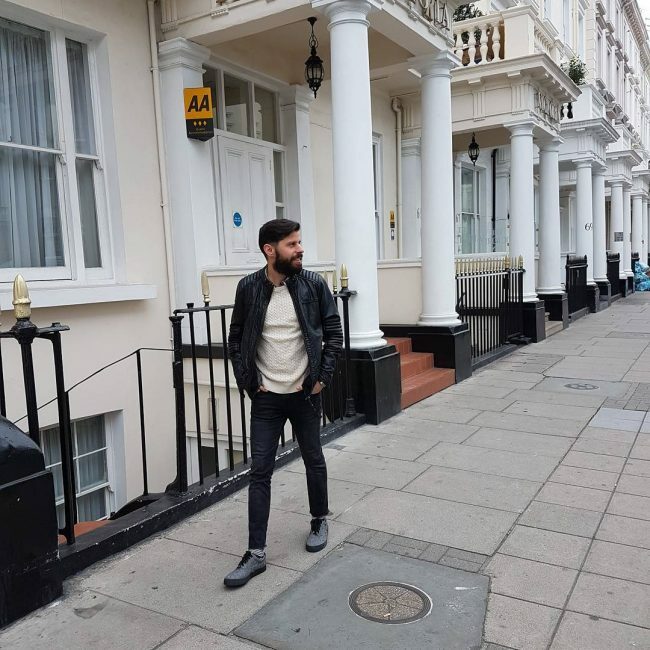 Skinny jeans have been a trending topic in men’s wear for the last couple of years both for the right and the wrong reasons. 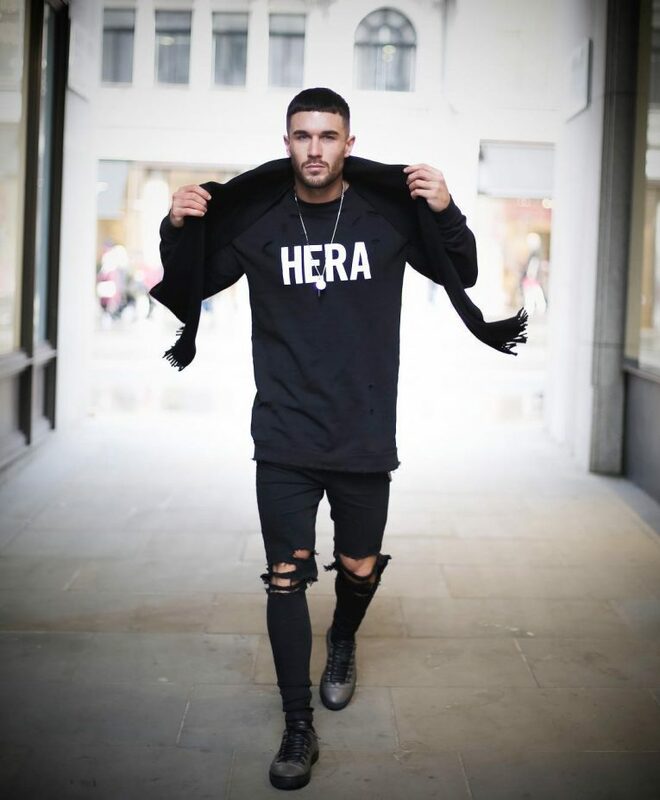 Seeing that most men prefer the color black, most fashion companies have produced a variety of black skinny jeans for men. Here are some of them. 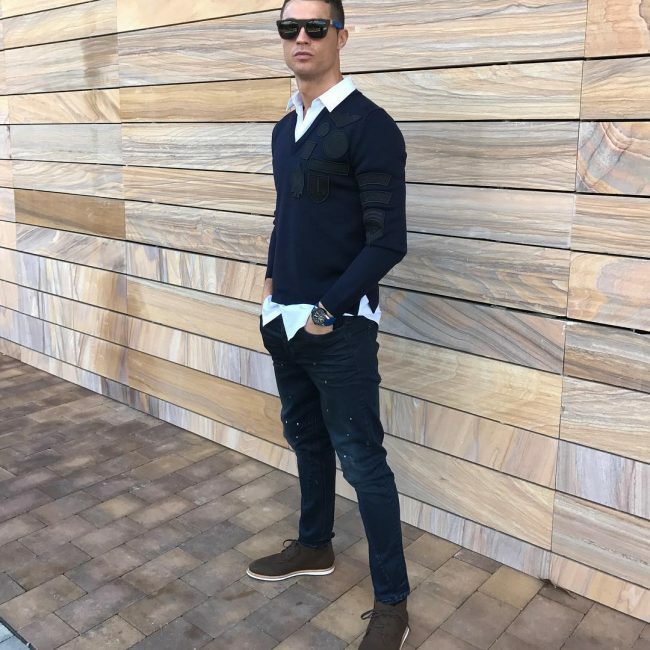 These have been worn by the footballing idol, Cristiano Ronaldo himself. The black skinny jeans are faded a little around the knee section to give a gray appeal around the area. Perfect for the fall. There are several designs of ankle length skinny jeans. This one is separated by unique dungaree straps on either side. 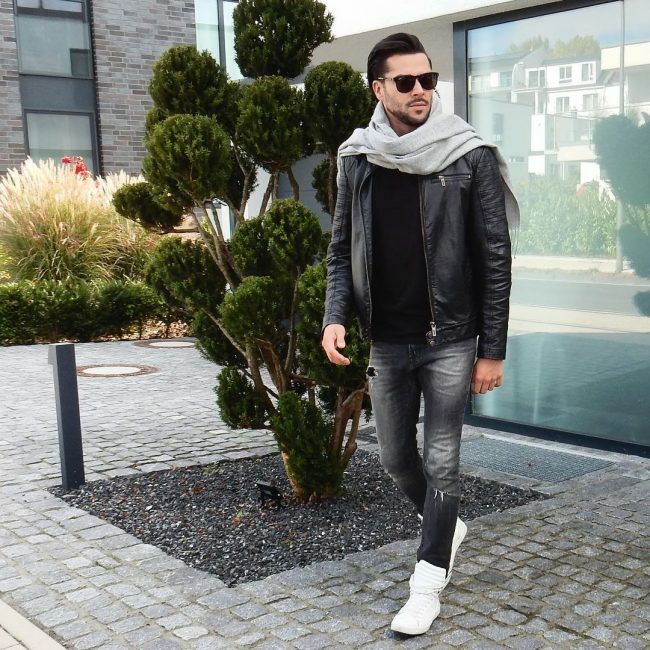 Wear these black skinny jeans with a black jacket, cream sweater, and gray shoes for a cool autumn look. 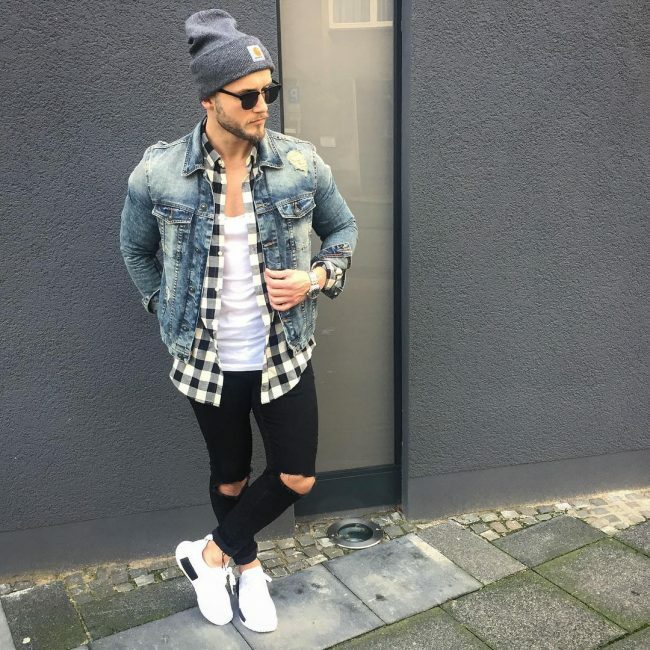 Another common style in skinny jeans, black rugged skinny jeans make a cool fashion statement. Wear them with white sneakers and a white long sleeved striped t-shirt for a cool summer look. Not all skinny jeans are fitting. 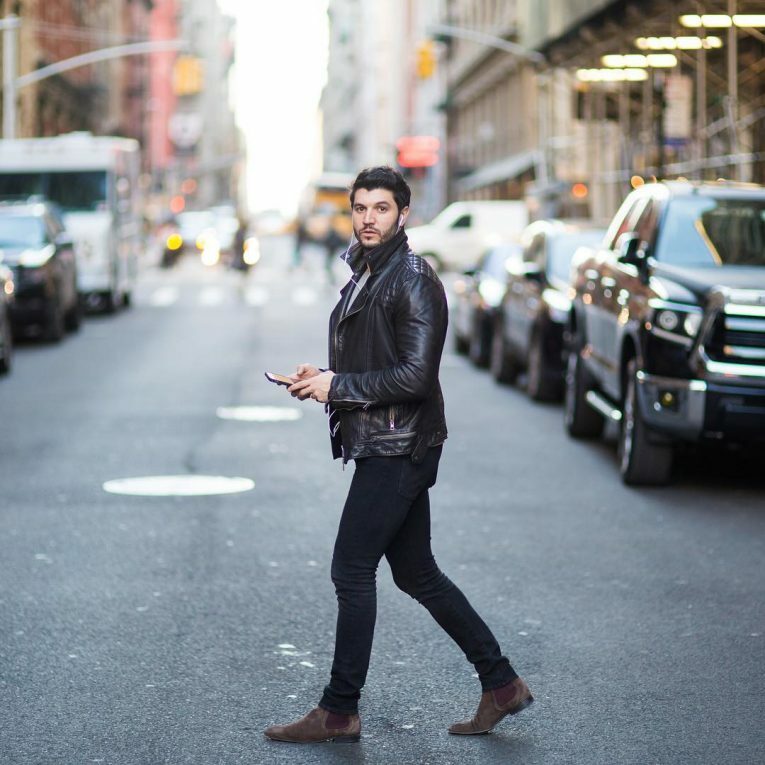 The fitting black skinny jeans grip you from the waist to the ankles. Wear them with a black biker jacket, black boots and a black and white striped t-shirt. 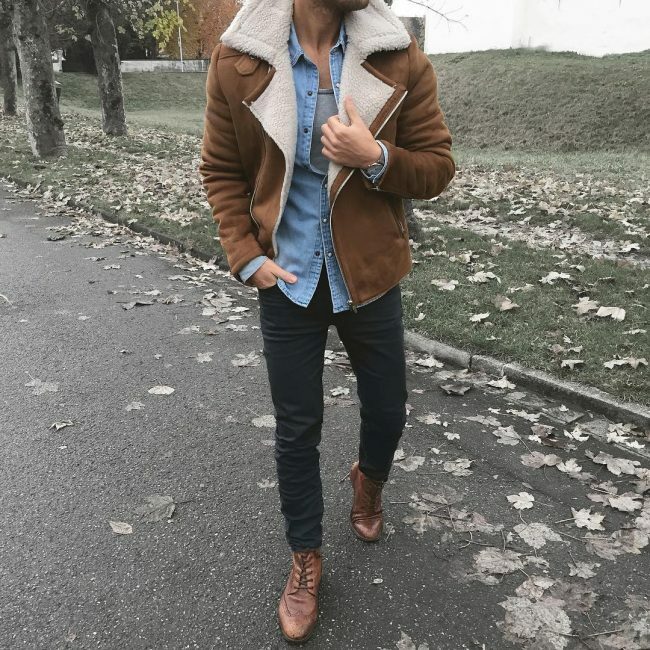 If you want to pull a ‘don’t touch my ankles’ look with your skinny jeans, why not just fold them?Wear them with white sneakers, a matching t-shirt, a blue denim jacket, and a trench coat for a stylish look during the fall. These are considered by most mature men as opposed to the rugged version of skinny jeans. 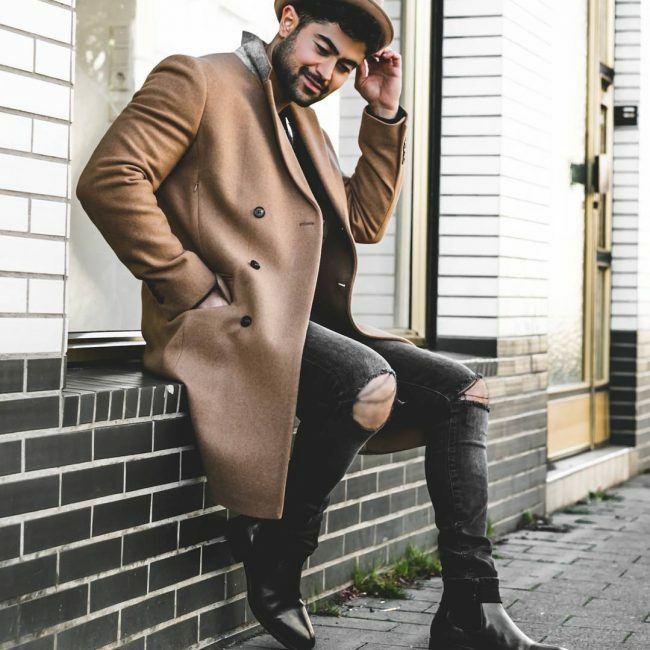 Simply black, wear these skinny jeans with a brown jacket with matching boots, and a blue denim shirt with a gray tank top. 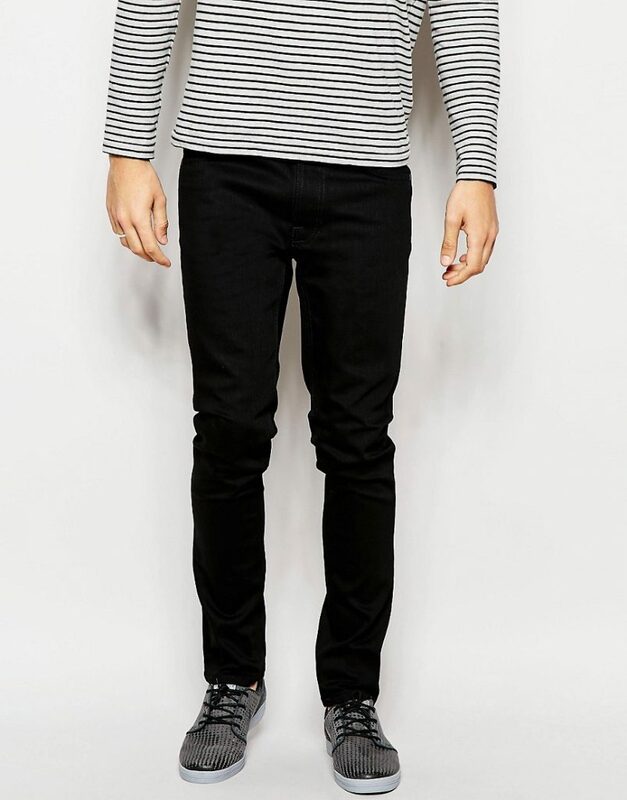 The dark black nature of these skinny jeans gives them a semi-casual look. Wear them with a brown overcoat, a gray turtleneck sweater, and white sneakers. Add some glasses for an exquisite look. 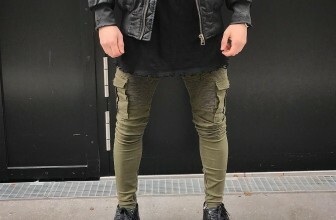 The rugged design varies a lot with skinny jeans. 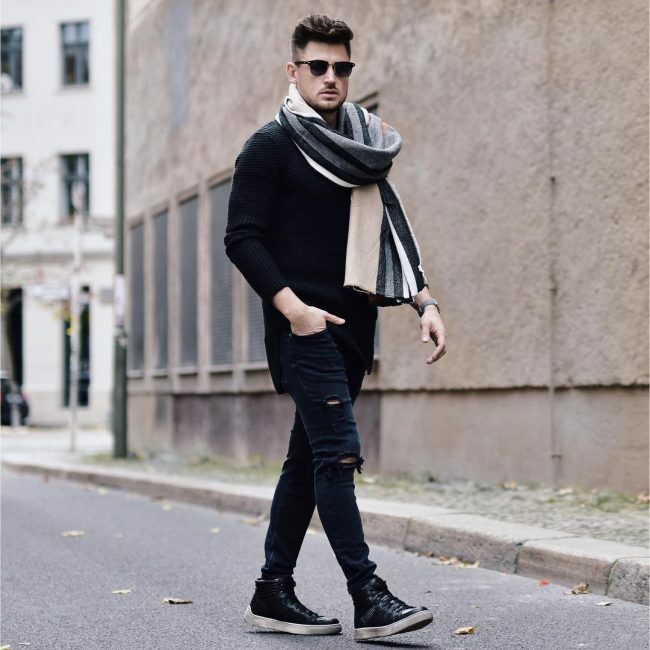 Wear these black rugged skinny jeans with a black seersucker sweater, black shoes, and a scarf to complete a classy autumn look. Dark glasses complement the style. Fitting skinny jeans are very comfortable to wear. 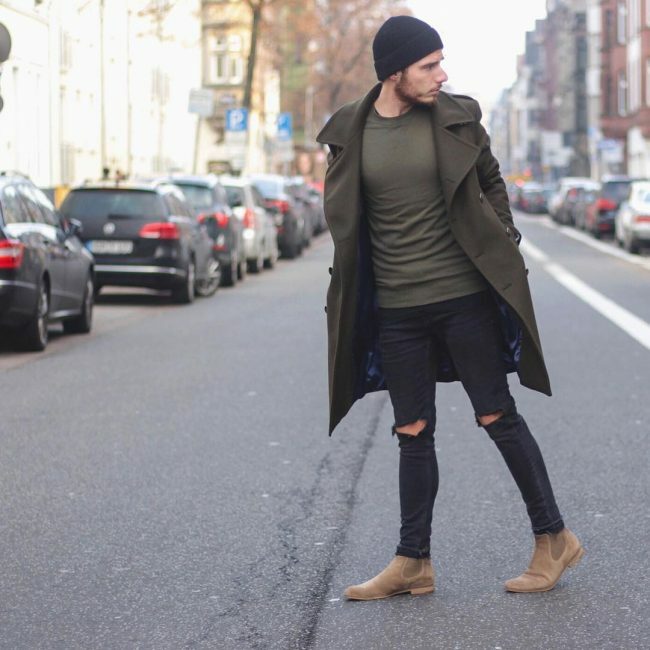 These fitting rugged black skinny jeans complement brown boots, a green sweater with a matching trench coat perfectly. 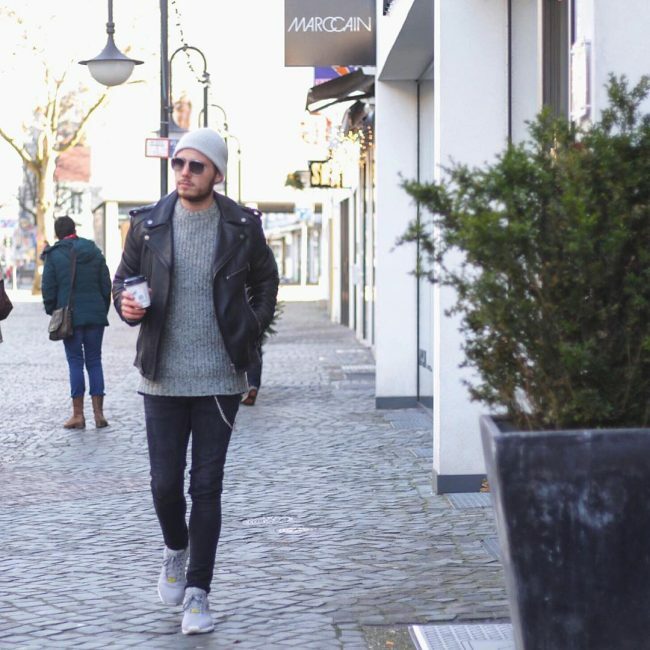 Add a black beanie to complete a stylish look. Remember the 90s when jeans pants used to come with chains dangling almost all over?At least it’s reduced to one chain on the left for the style but it matches the gray sweater and beanie perfectly. 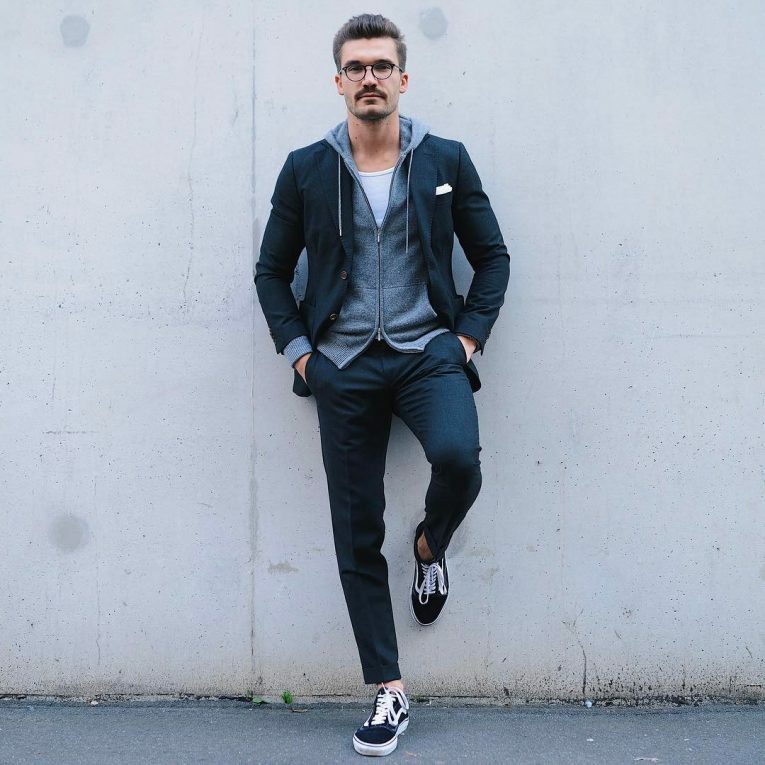 Gray sneakers complete the look. 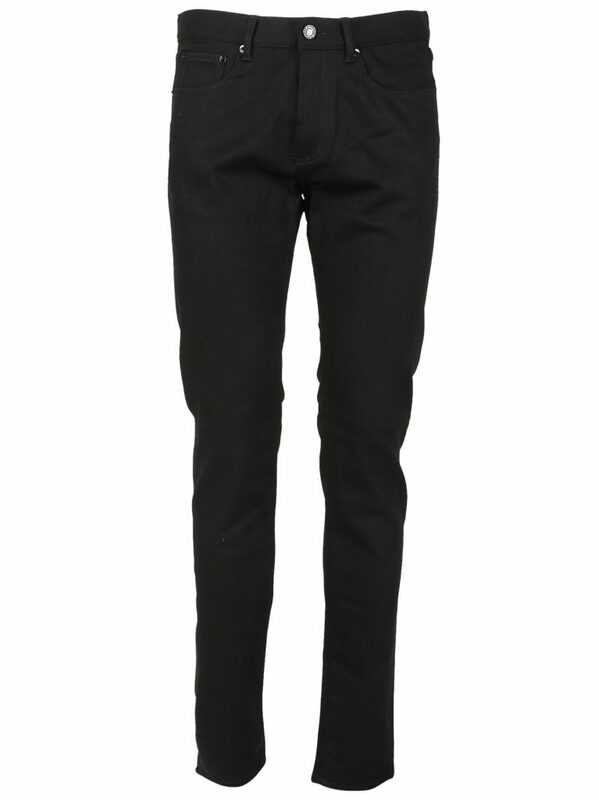 The dark black color gives these jeans a mature look. 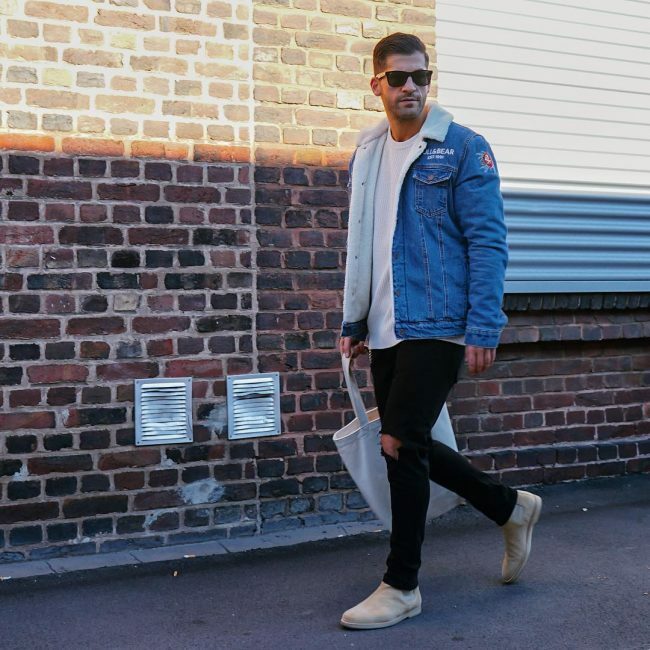 Wear these fitting jeans with a fitting white t-shirt and black shoes. The result is a very stylish summer look. These jeans also elicit a mature aura. Wear them with brown boots with a matching sweater, a black t-shirt, and a green fur collar jacket for a classy winter look. A brown beanie is a welcomed addition. 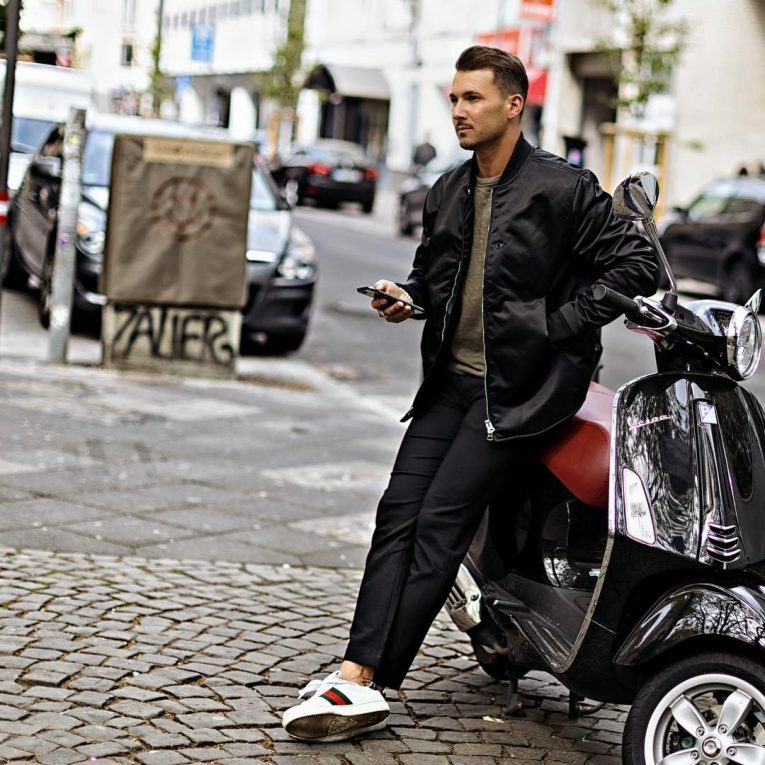 Biker skinny jeans are quickly replacing their baggy counterparts. 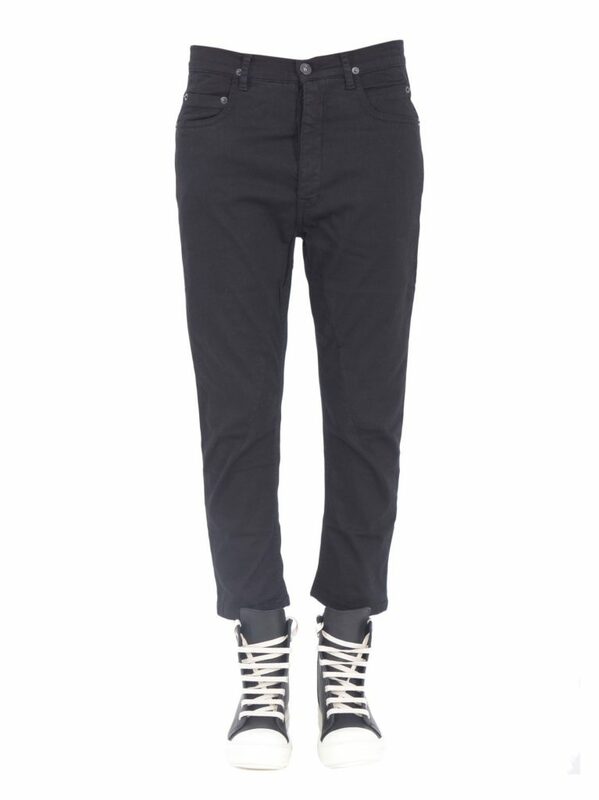 Wear these dark black biker skinny jeans with matching shoes, a beanie, and sweater. 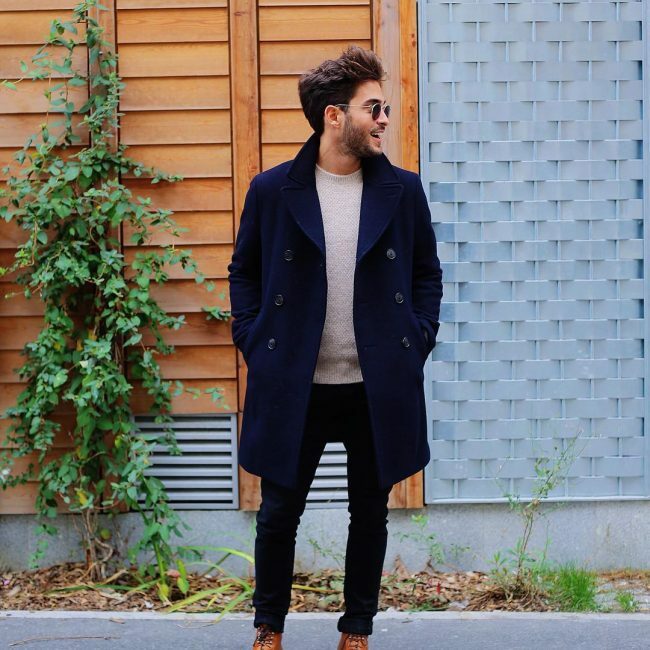 A brown trench coat gives you a professional look. 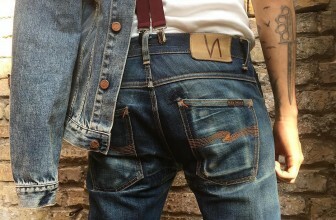 A special feature with these jeans is the silver chain on the right side. 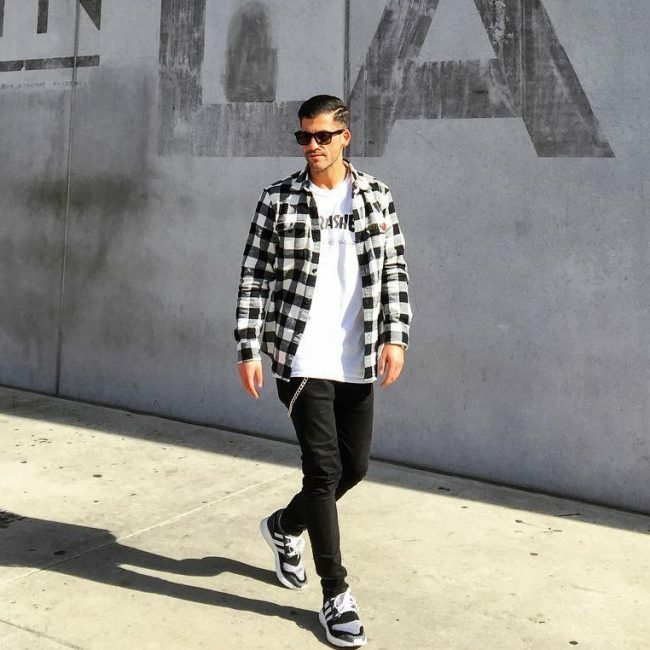 Wear these black skinny jeans with a white t-shirt, black and white sneakers, and a black and white checkered shirt. A good look for the summer. Faded jeans come in all designs and sizes. 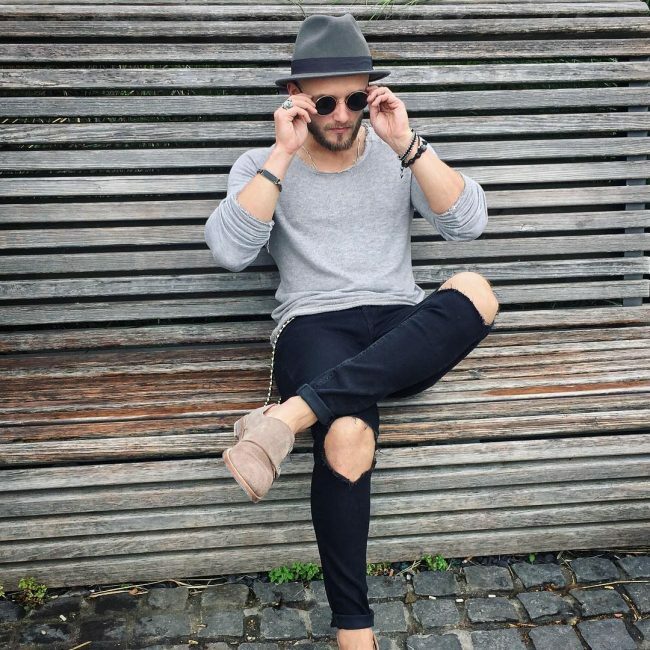 These black faded skinny jeans are the perfect match for a white sweater, black beanie, a brown chesterfield coat, and brown shoes. A classy look for the fall. As seen earlier, chains are a stylish addition to skinny jeans. Wear these jeans with black boots, a brown turtleneck sweater, and a black blazer. Sunglasses will have you looking like a professor in the summer. These jeans are literally ripped at the knees. Nonetheless, fold them at the ankles and wear them with a black t-shirt with a matching jacket and black and white sneakers. A stylish look for any social event in the fall. Shreds mostly appear on the sides if jeans pants are rugged on the knees. 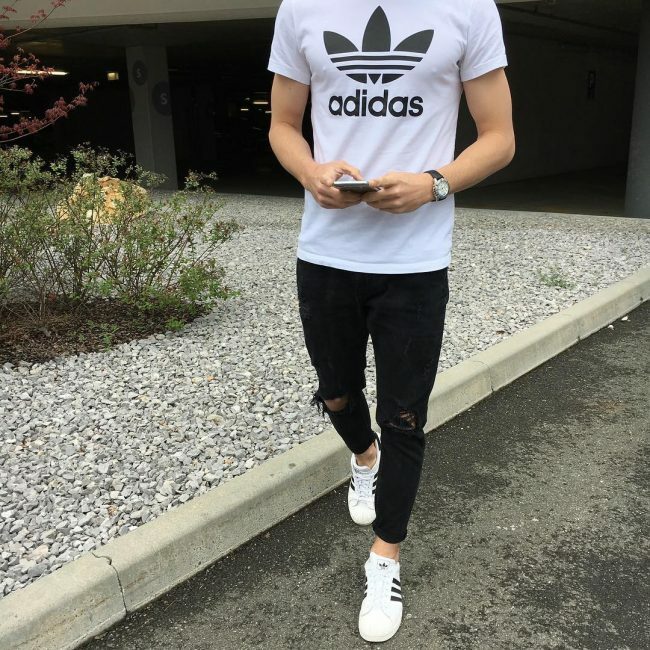 Wear these skinny jeans with a designer Adidas white t-shirt. 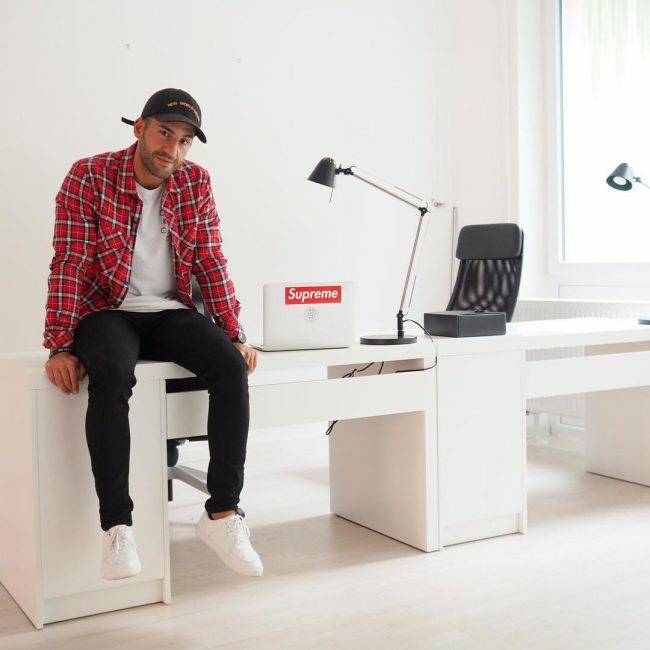 The look is complete when you add white Adidas sneakers into the mix. It is not easy to come by this combination in skinny jeans. 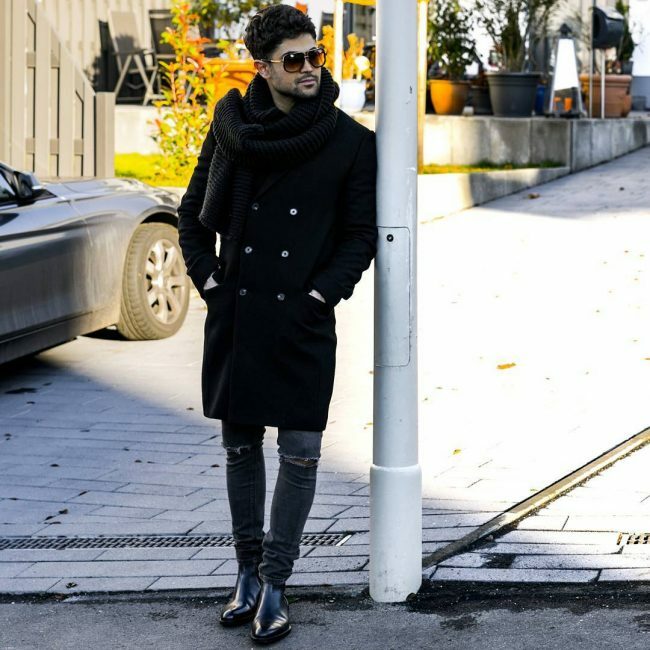 However, when worn with black boots, a brown chesterfield coat, and a brown hat, they look really stunning. 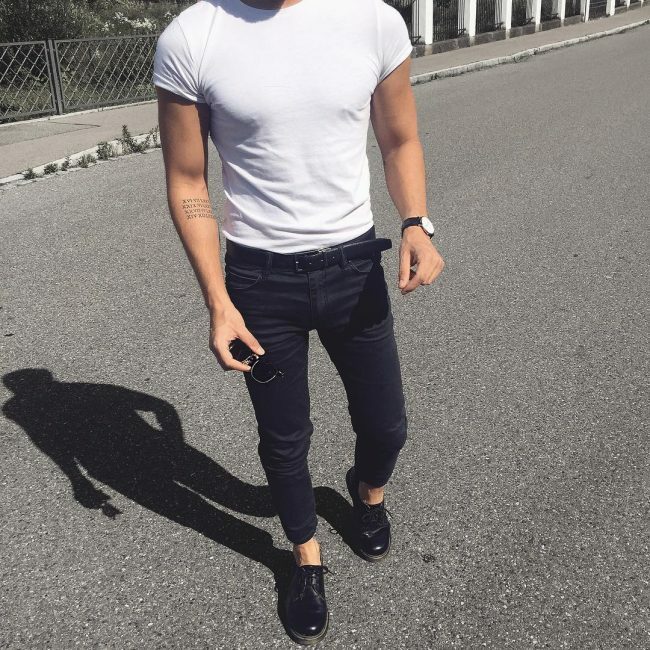 Mature skinny jeans look for the fall. 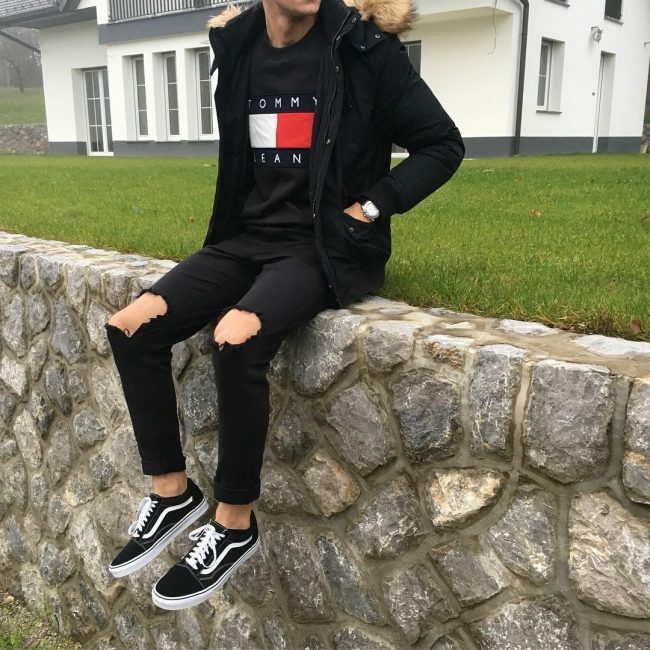 Most rugged skinny jeans are ripped between the thighs and the shin. These jeans contain matching rips on both knees and look outstanding with black boots. Wear them with a double-breasted coat and a black scarf for those cold days. The difference between these jeans and the one above despite them both being skinny jeans is how it fits. Wear these with white sneakers, a black t-shirt, a black and white checkered shirt, and a denim jacket. An all-black look has a respectable personality attached to it if pulled off properly. 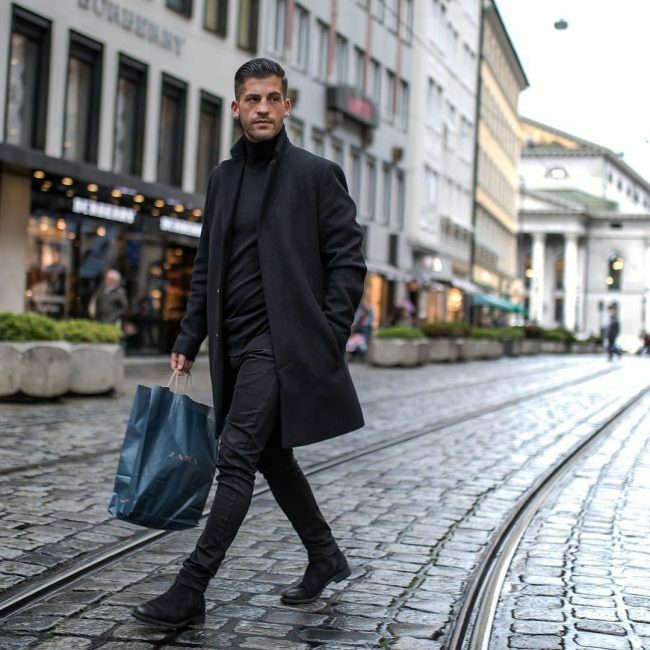 Wear these fitting black skinny jeans with matching boots, a matching overcoat, and turtleneck sweater for a classy autumn look. I bet you are familiar with those blue denim jackets with woolen insides. Well, they go pretty well with black rugged skins, a white t-shirt, and brown shoes. Add sunglasses for a casual summer look. In addition to being ripped at the knees, these jeans are also folded at the ankles. 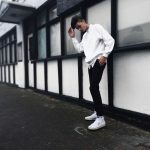 Pull off a decent summer look with these skinny jeans, white sneakers, a blue denim jacket, a black and white checkered shirt and a white t-shirt. 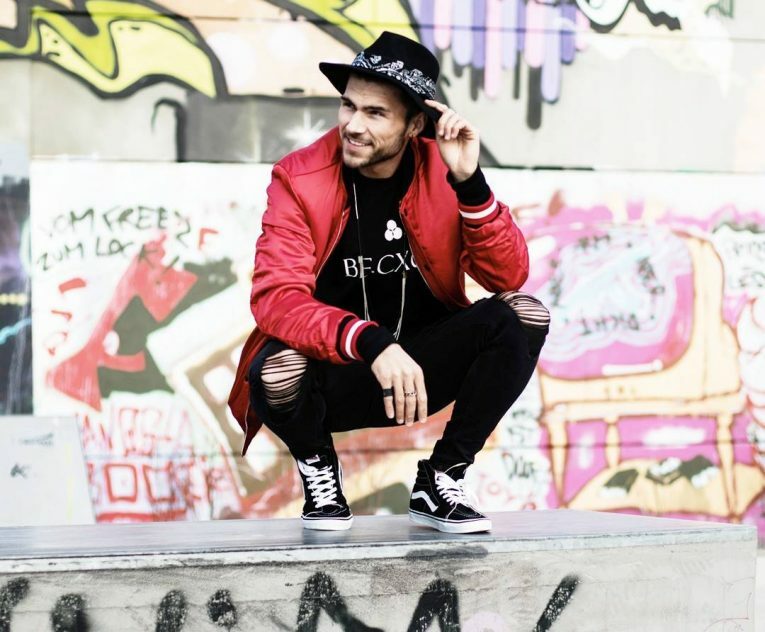 Harem skinny jeans make a perfect example of a man with street style. 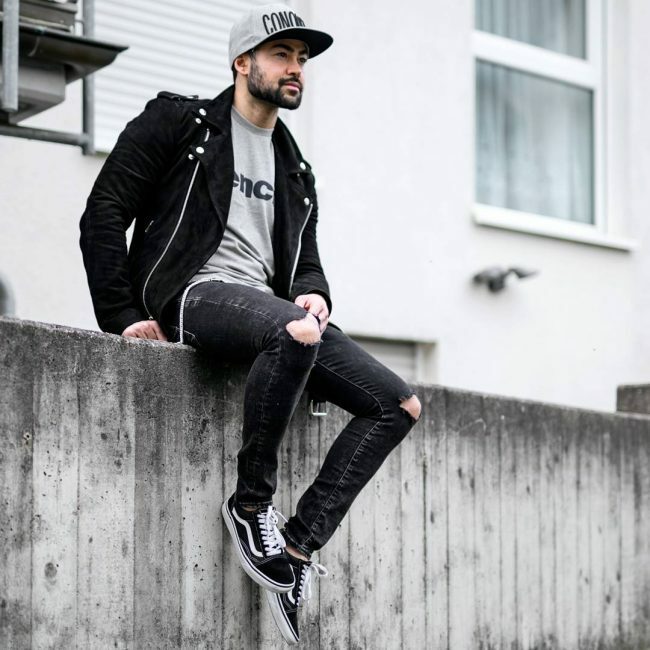 Wear these black skinny jeans with black sneakers, a black faded denim jacket with a matching baseball cap, and a white t-shirt for a dapper summer look. 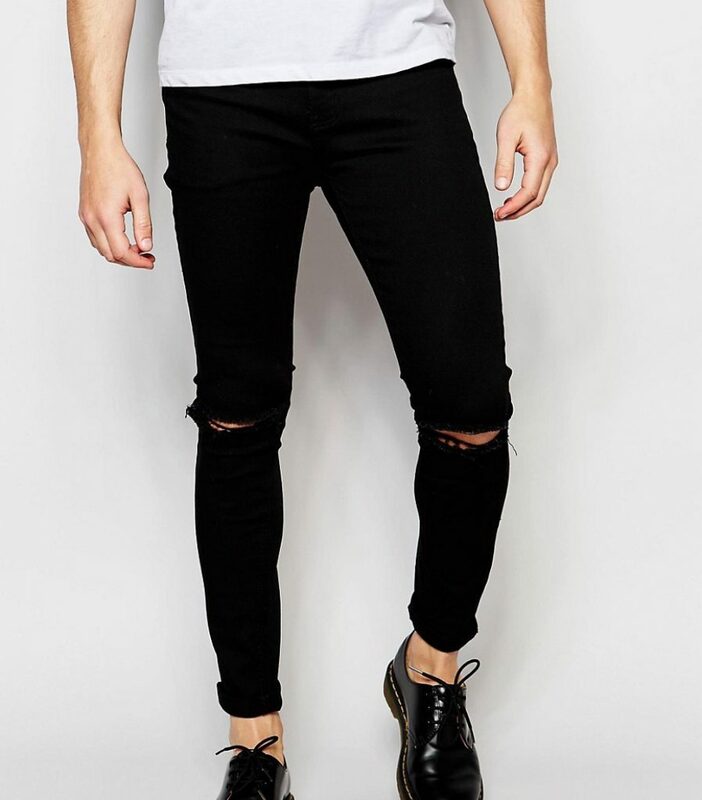 These black skinny jeans show the whole knee. Designed with a chain on the right side, they look amazing with a gray t-shirt, brown boots, and a gray hat. Add sunglasses to complete this stylish summer look. Folding trousers at the ankles work well with no socks. 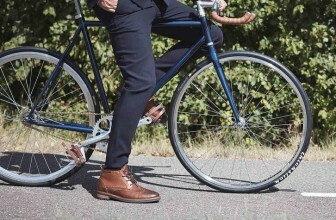 However, you can wear gray socks, black and white sneakers, and a brown double breasted coat with these skinny jeans. A good look for the fall. This look is both simple and stylish. 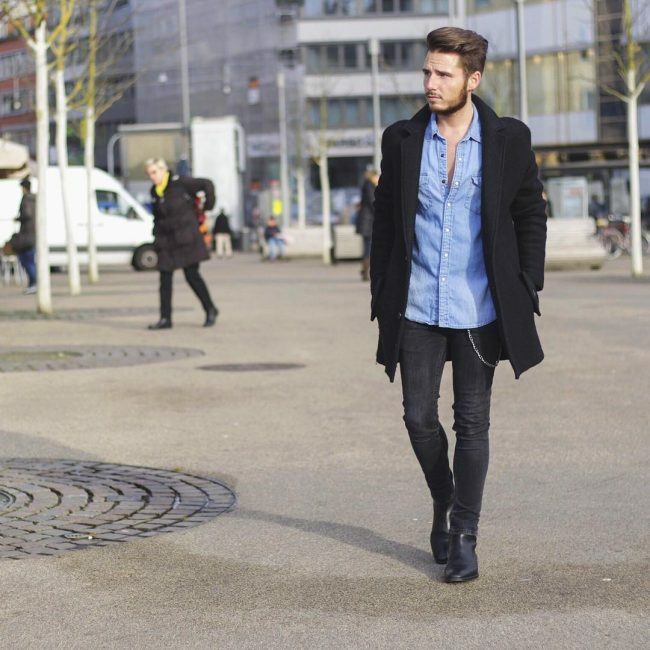 Wear plain black fitting skinny jeans with a blue jeans shirt, black boots, and a black coat. A classy evening look. These black skinny jeans are faded enough to pass for gray skinny jeans. Nonetheless, they balance perfectly with a black t-shirt, matching shoes, and a fitting leather biker jacket. A cool street for the summer. 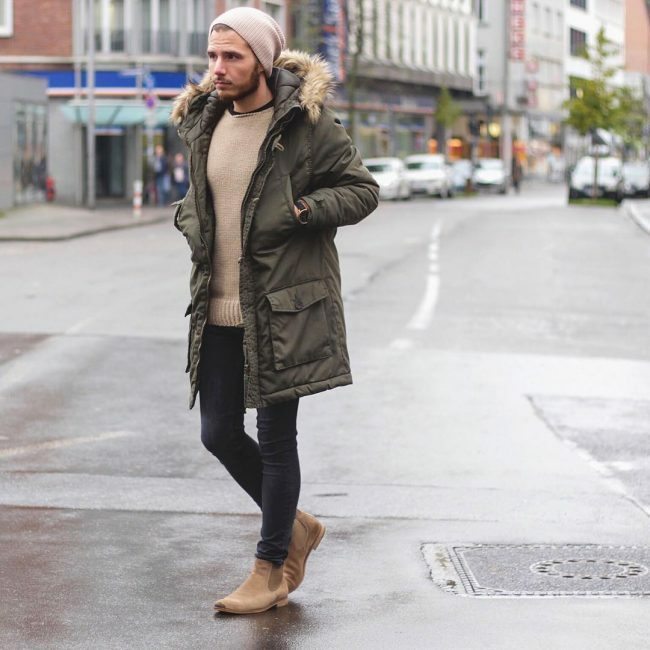 Fall jackets are designed to be comfortable and stylish. 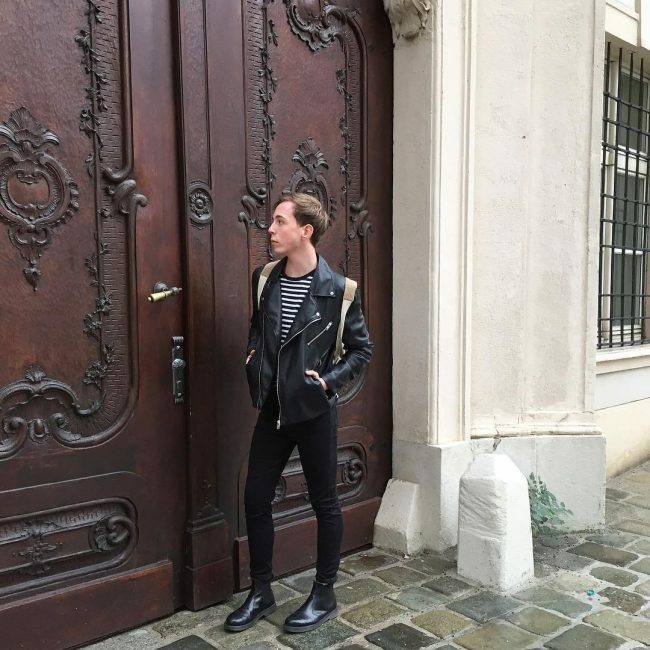 These black faded and rugged skinny jeans match the black fall jacket well. 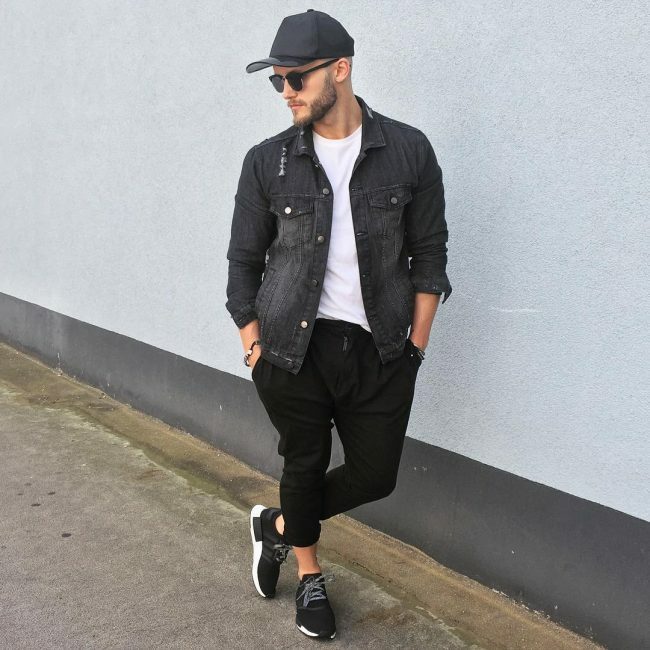 Complete the look with a gray t-shirt, a matching baseball hat, and black sneakers. 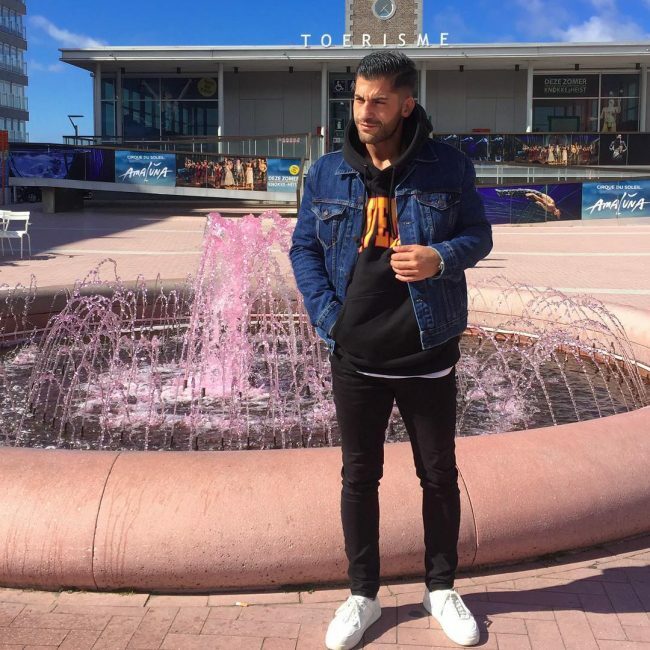 Wrinkled jeans are another fashion design for men that has rocked the fashion industry. 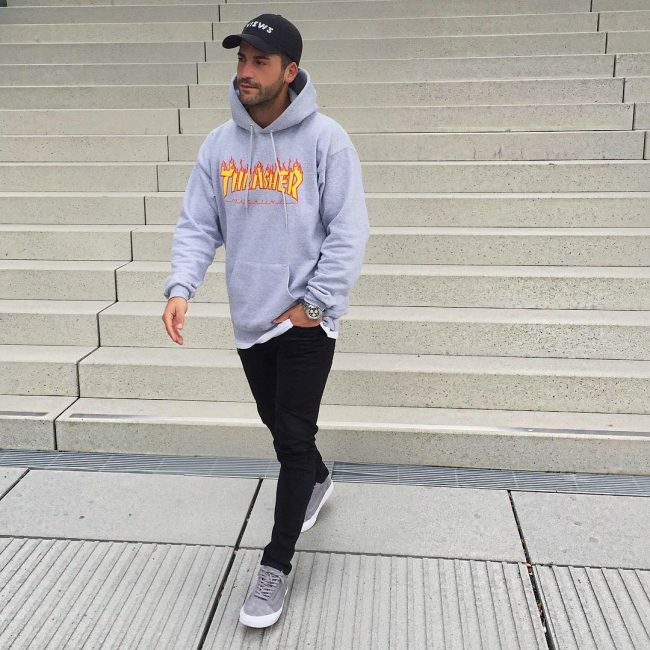 These skinny jeans go well with a gray hoodie with matching shoes. 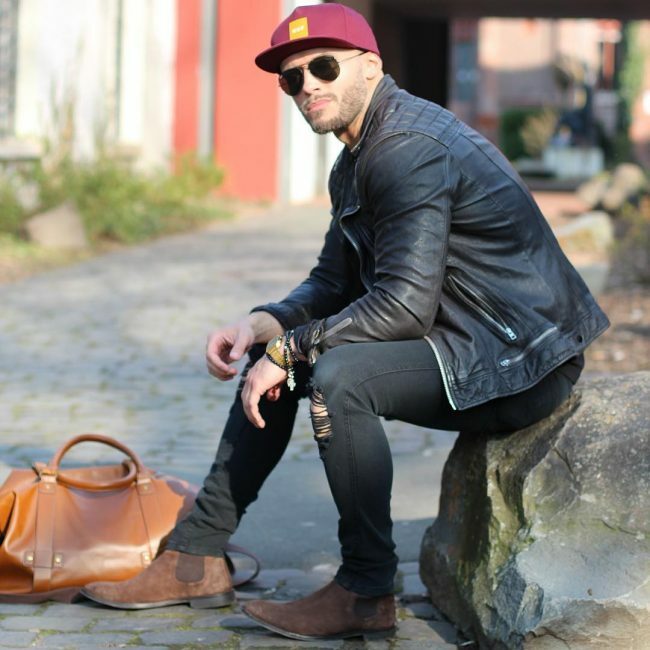 A black baseball cap adds well to the cool look. 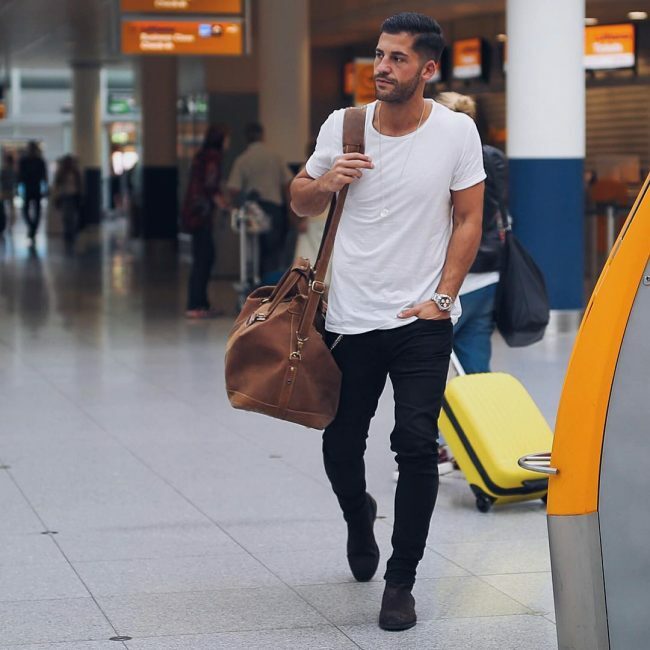 A simple but decent casual look is what most men try to pull when wearing skinny jeans. 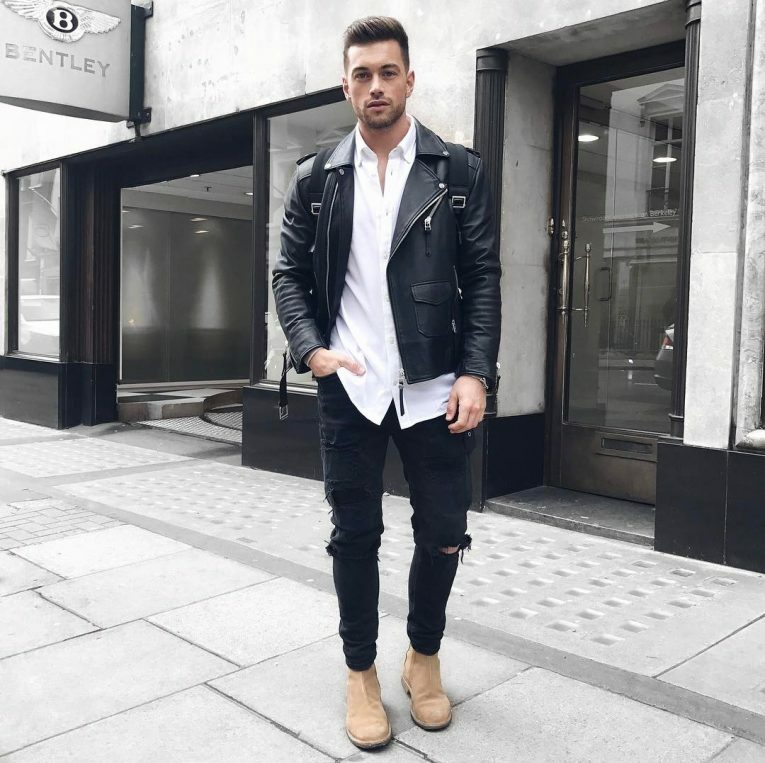 Wear these black skinny jeans with a white t-shirt and brown boots to nail this look. 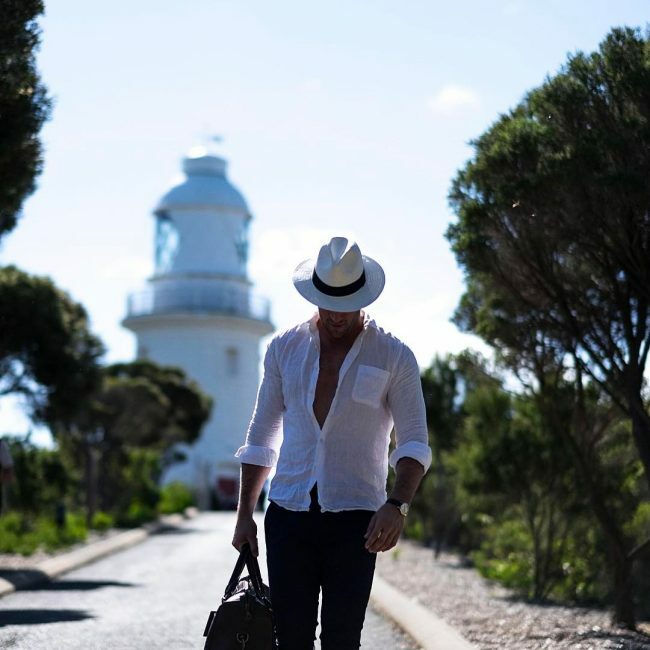 Fedora hats aid both in fashion and shielding the hot sun. 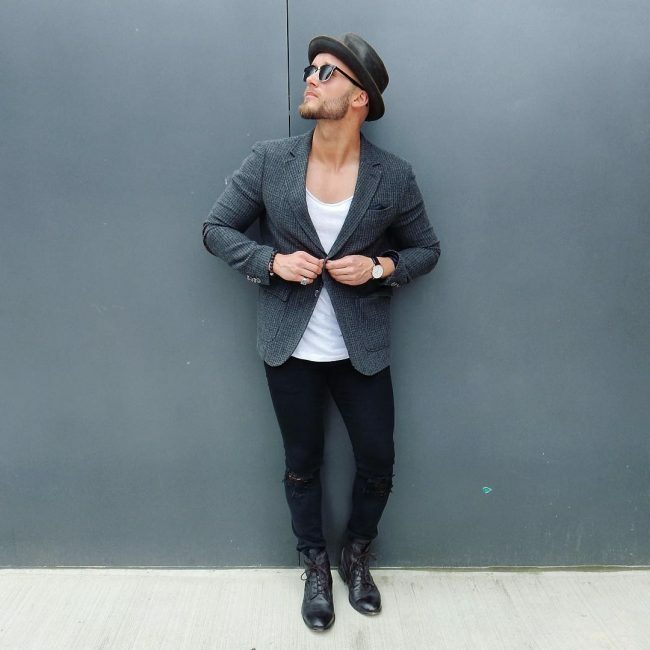 These black skinny jeans look good with the matching fedora hat, a white sweater, and a brown trench coat. A classy look for the fall. 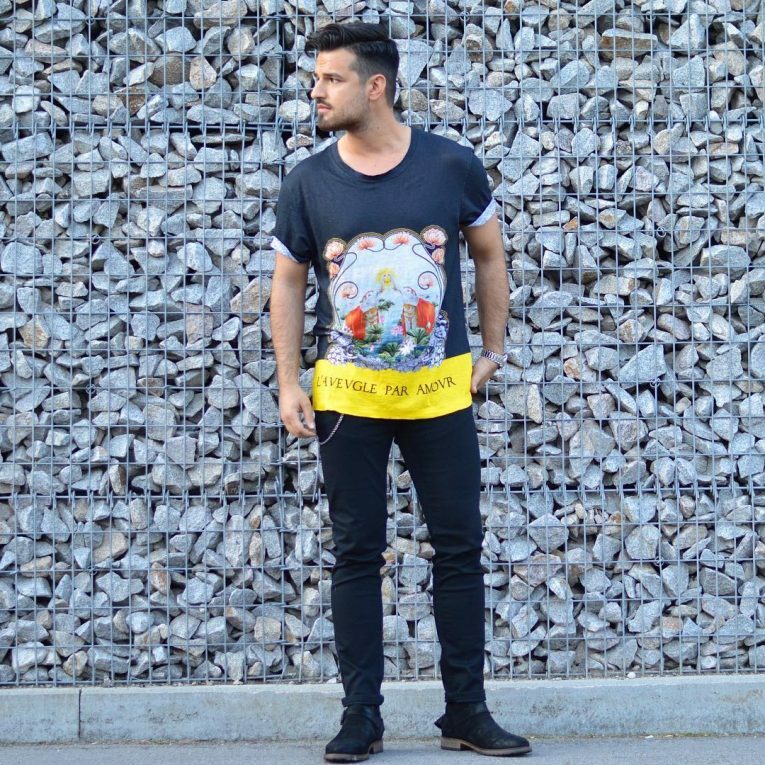 Black skinny jeans will complement almost any style for men. This particular pair goes very well with a blue Marco Polo coat, brown shoes, and a gray sweater. 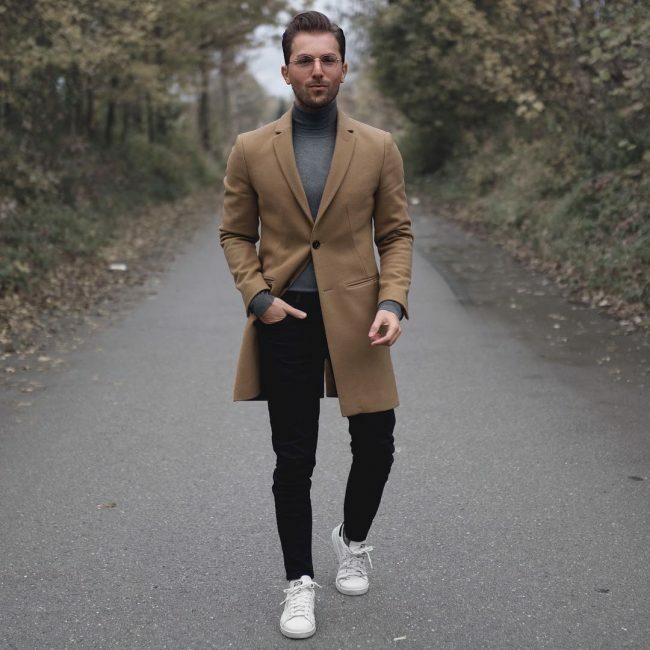 An elegant look for the autumn season. The reason for the name is the colorful demeanor that the complete look has along with the jeans. 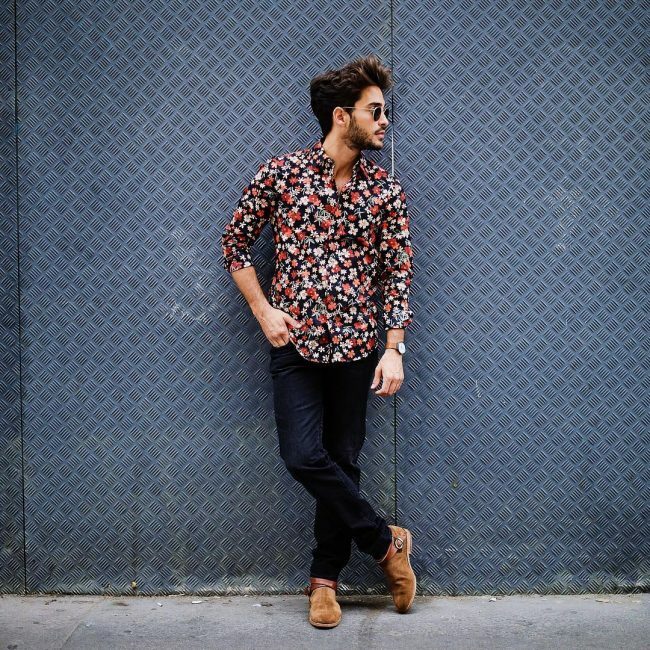 Wear these black skinny jeans with a flower shirt and brown shoes. 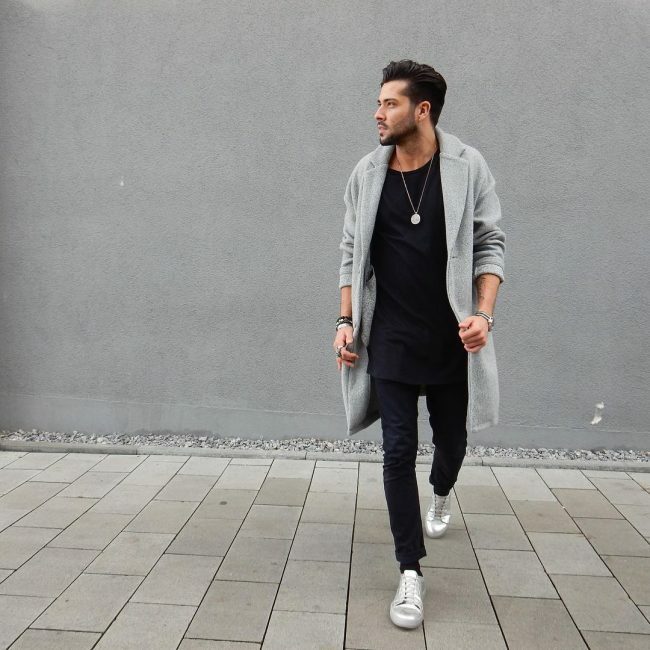 Long t-shirts are also very common lately in the men’s fashion industry. 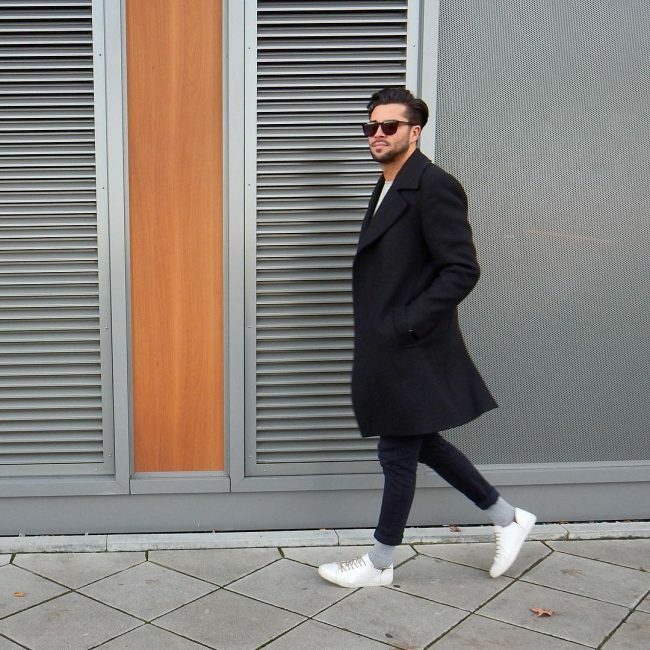 Match the black skinny jeans with a long t-shirt and gray shoes matching a cotton trench coat. Most skinny jeans are folded at the ankle once. 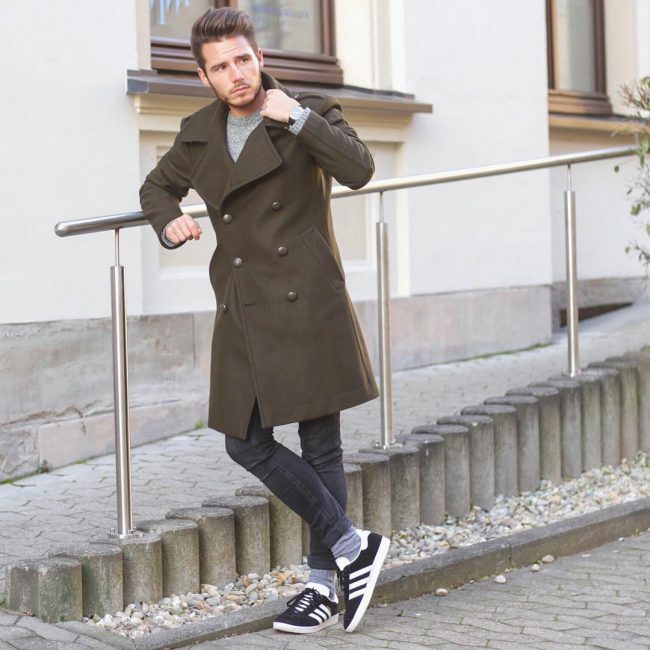 However, these are folded more than once and balance the gray socks, white sneakers, and black trench coat seamlessly for a casual autumn look. A skinny person puts the skinny in skinny jeans especially of they fit perfectly. 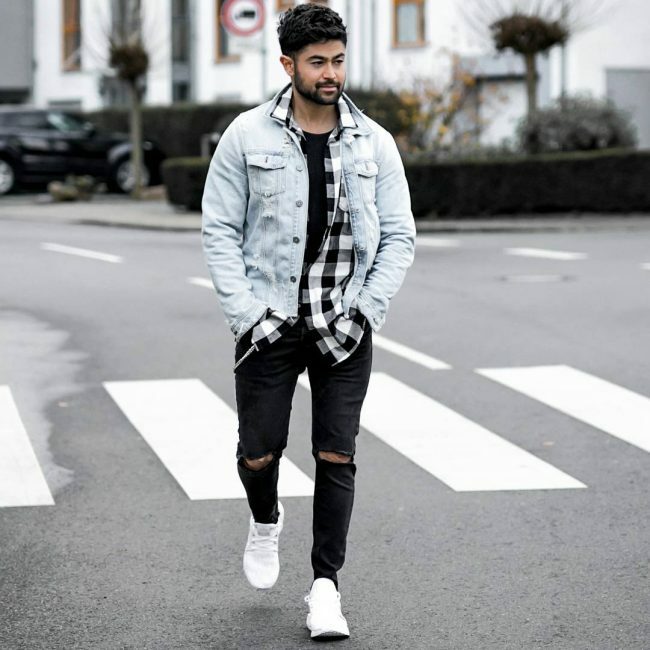 Wear the jeans with black Chuck Tyler sneaker, a blue denim jacket, a black and white checkered shirt, and a white t-shirt for a trim summer look. Faded skinny jeans are a good way to mix colors. 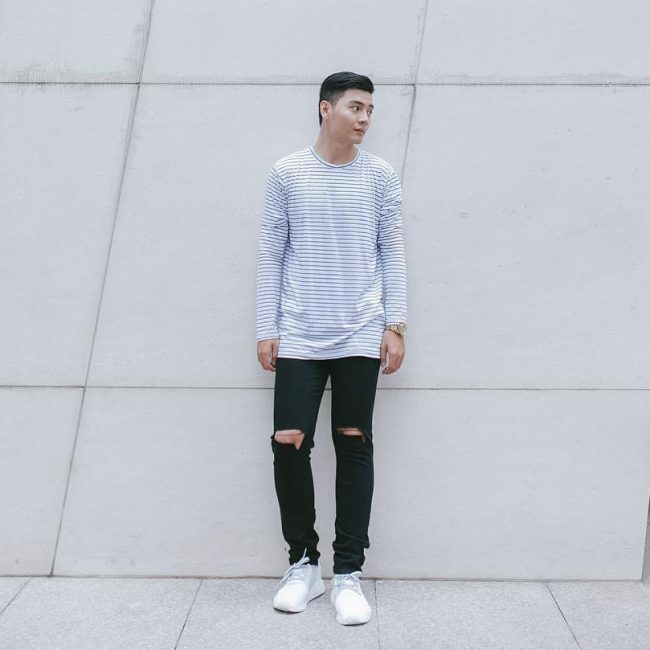 Wear these rugged skinny jeans with a black leather jacket, a matching t-shirt, and white sneakers for a cool summer style. 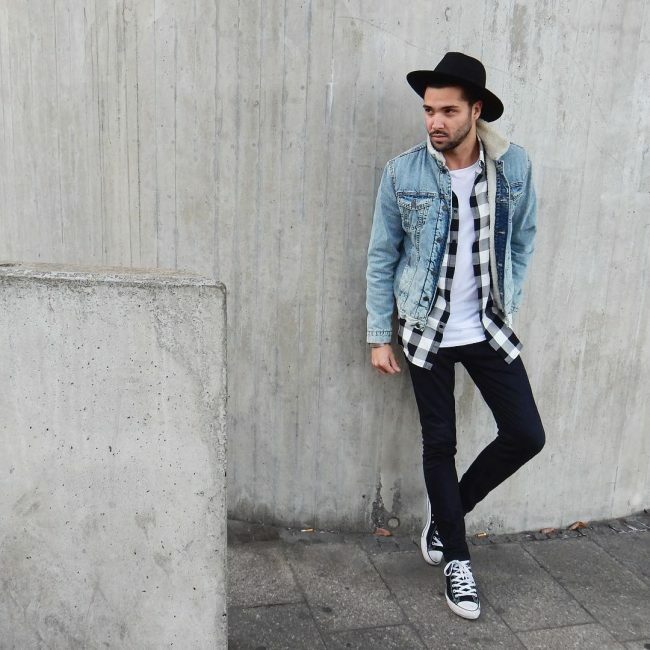 A decent street look is easy to achieve with black ripped skinny jeans. 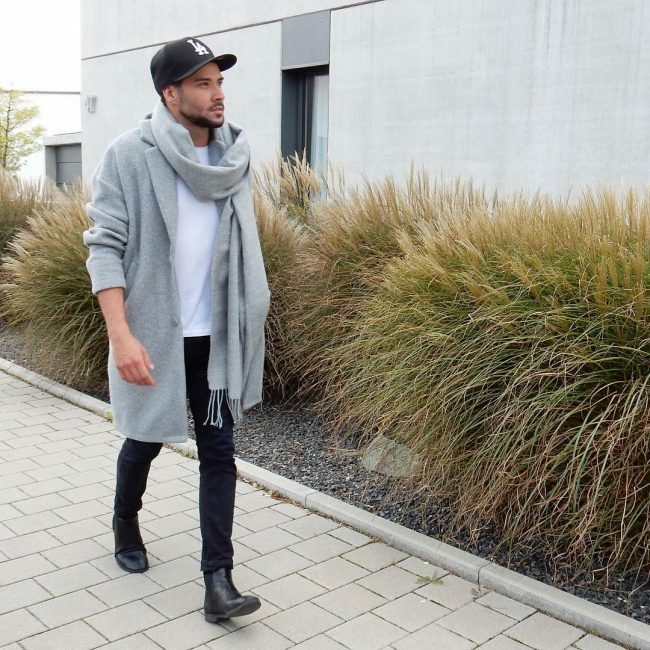 Simply add a gray trench coat, black boots, and a black t-shirt for this cool look. 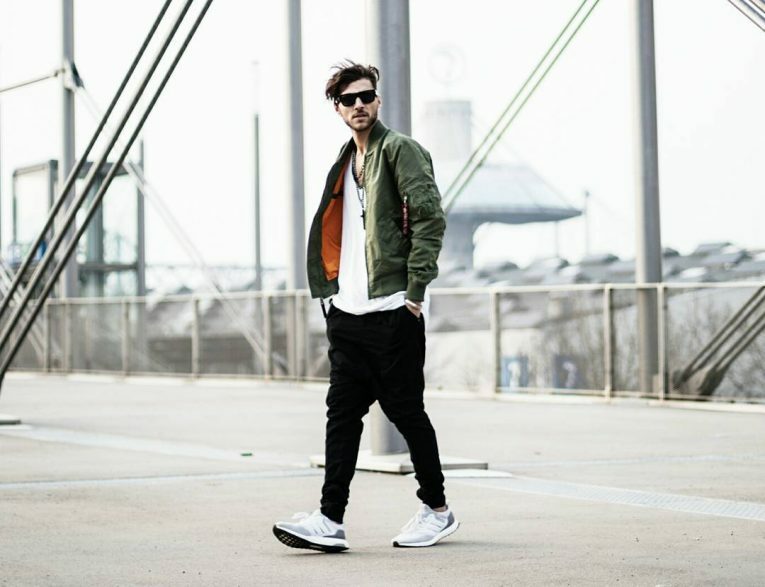 Bomber jackets are arguably the coolest men’s jackets. 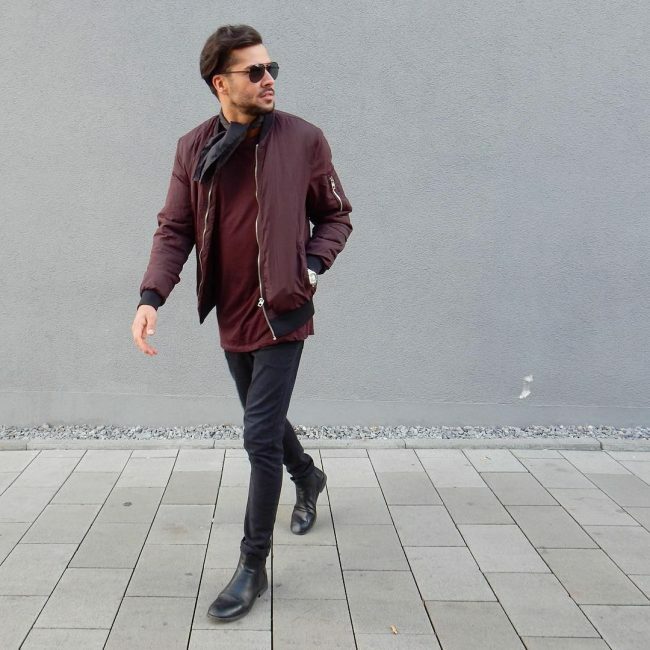 Wear your black skinny jeans with matching boots, a maroon bomber jacket with a matching t-shirt. Sunglasses are a cool addition. Mantel coats are quite the classy coats aren’t they? 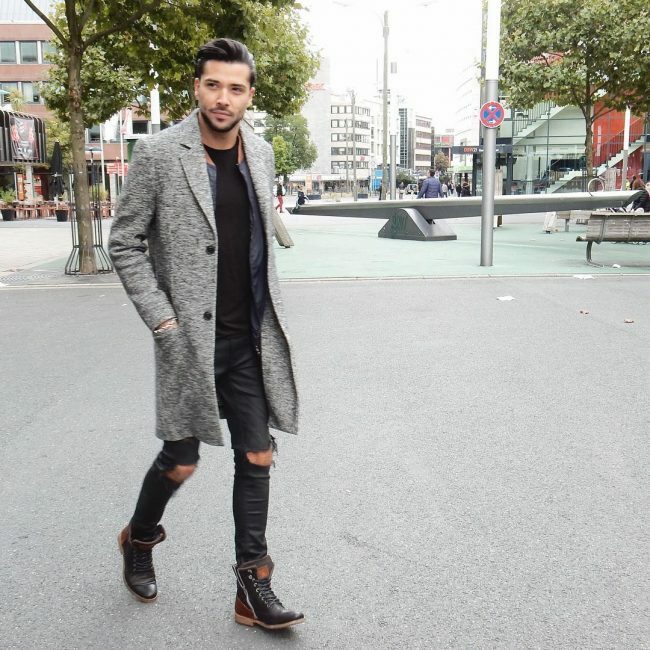 A gray mantel coat with a matching scarf looks even better with black skinny jeans with matching boots. Add a white t-shirt and a black baseball cap to complete the look. There are a lot of black plain skinny jeans. For a cool casual look, wear them with a black hoodie, a white t-shirt with matching sneakers, and a blue jeans jacket. Most men go for a sleeveless t-shirt if they have some muscle. 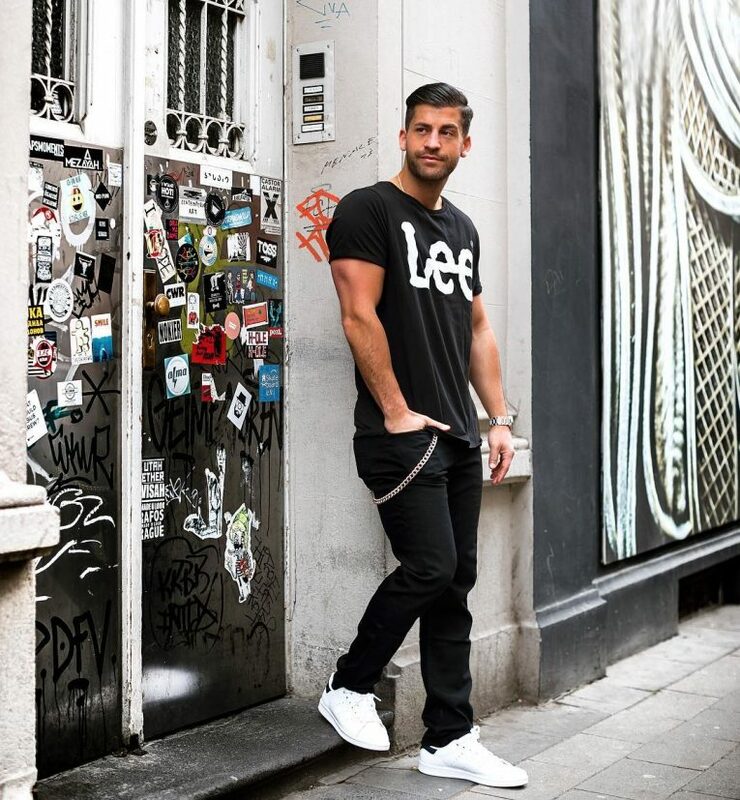 Wear rugged black skinny jeans with a matching sleeveless t-shirt, and white sneakers for a satisfying summer look. 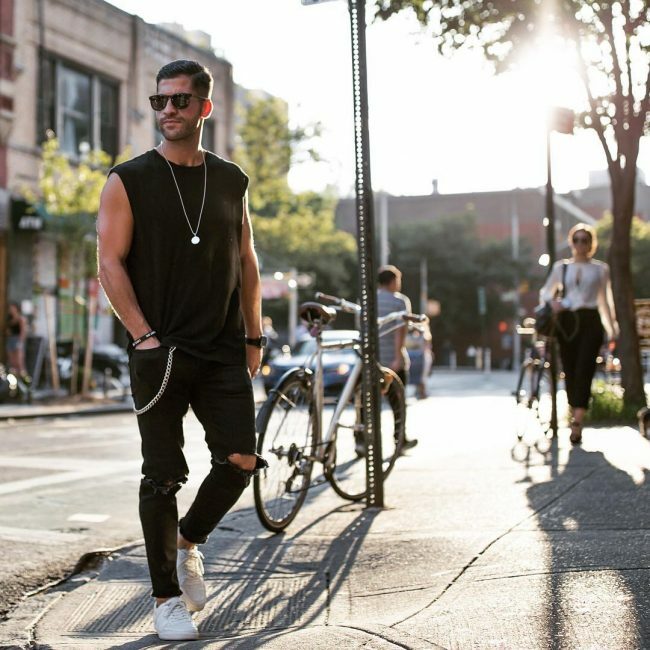 Black sunglasses and the silver chain on the side of the jeans add extra style. 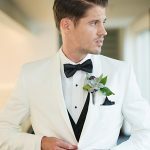 Other than black and white, black and brown are the next colors a man can easily coordinate. 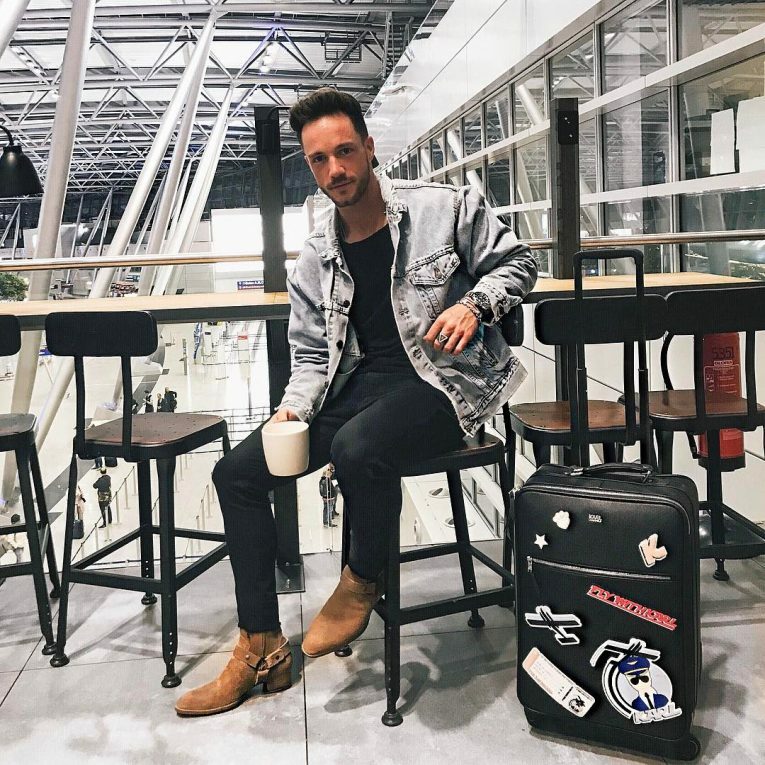 Wear your black wrinkled skinny jeans and a matching t-shirt with gray boots and a matching shirt. A mature look for the summer. This look is perfect for a casual wear weekend at the office. 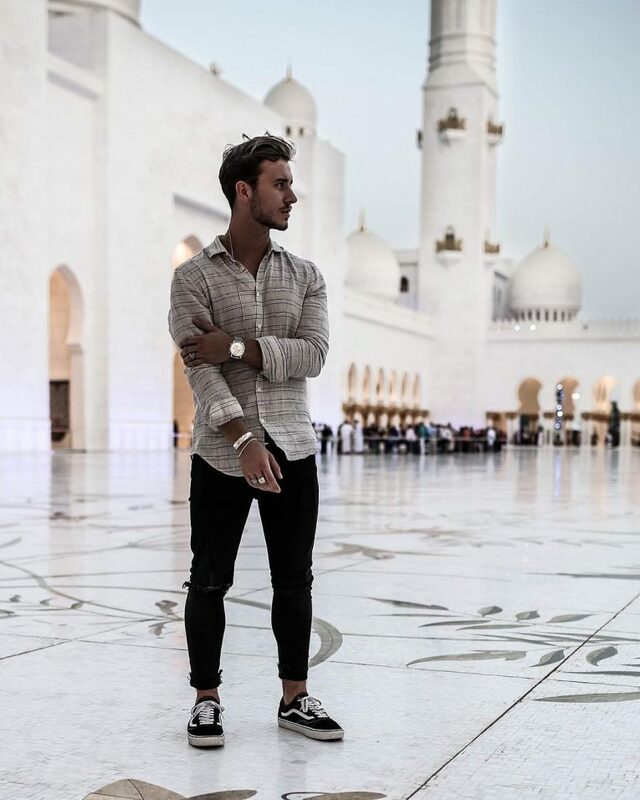 Complete this look with black plain skinny jeans, a checkered shirt, white t-shirt, and matching sneakers. A black baseball cap is a cheered addition. 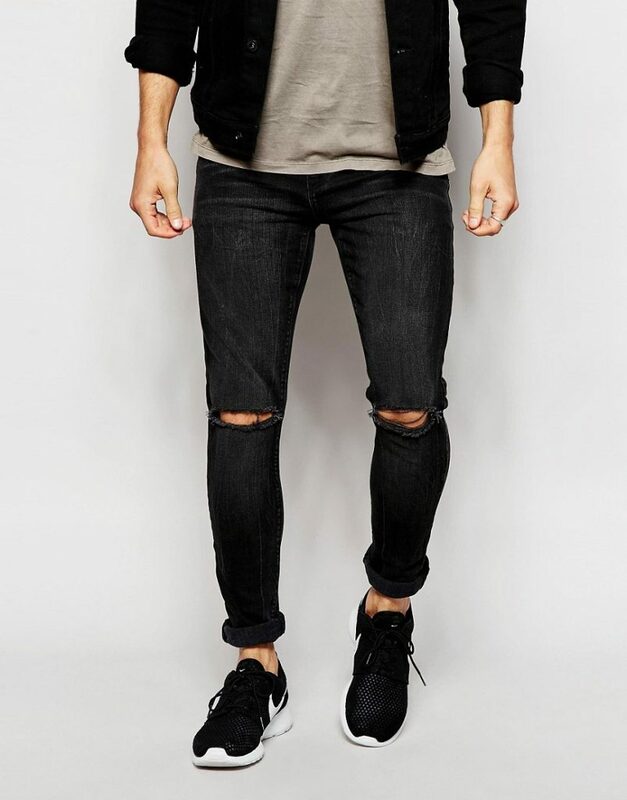 These ripped black skinny jeans give another semi-casual look for the weekend. This is especially made possible adding a fitting gray blazer. 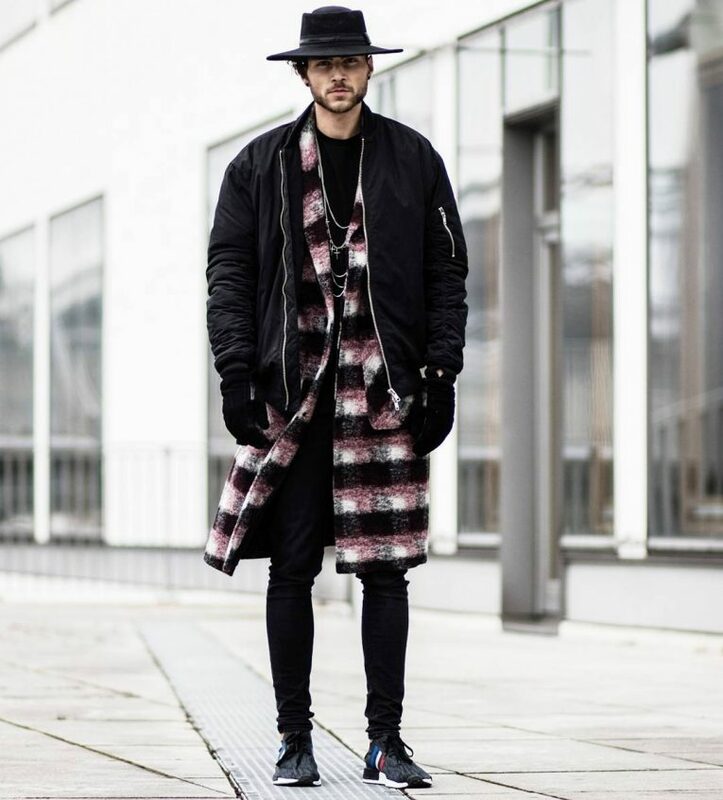 Wear a black godfather hat, black boots, and a matching t-shirt to complete this graceful look. Shreds may appear anywhere on skinny jeans. 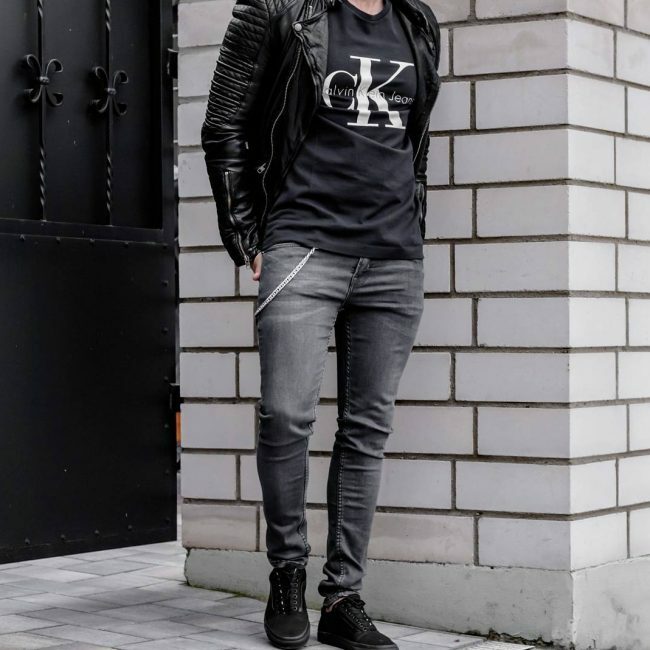 With the shreds on the knees, wear these black skinny jeans with a black leather jacket, brown boots, and black sunglasses for a street smart summer look. A maroon baseball cap further complements this look. 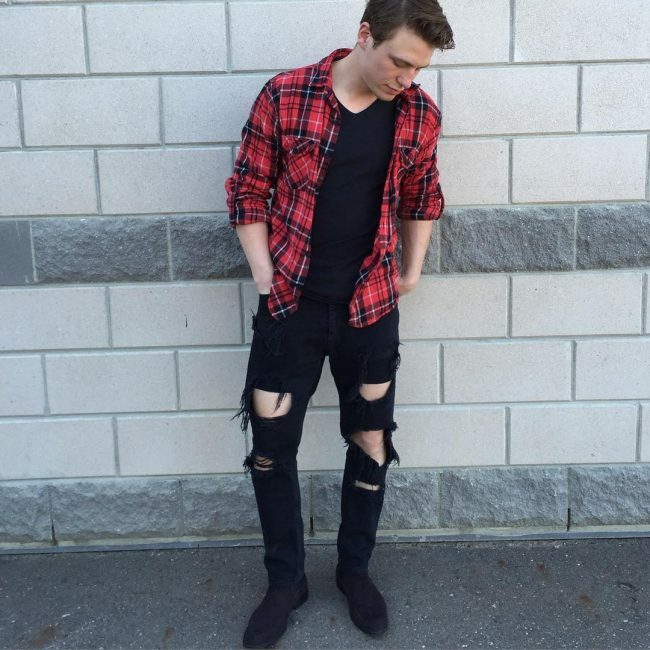 Black skinny jeans also match very well with seersucker fabric. 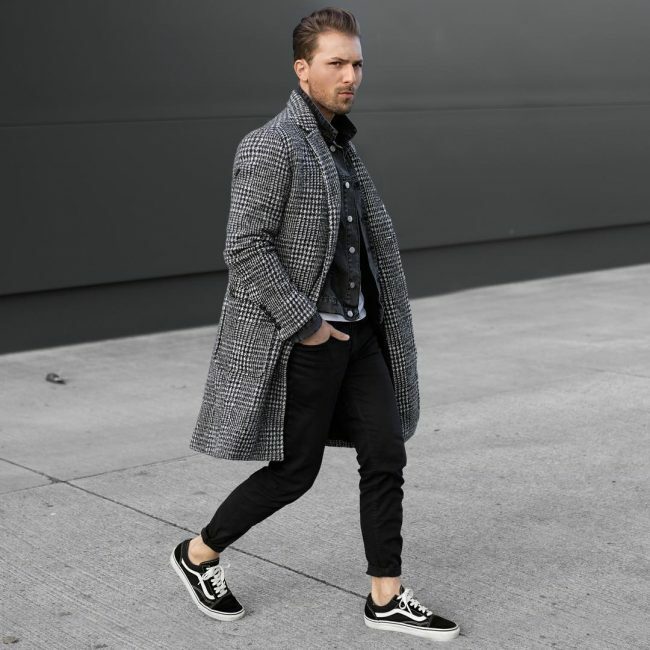 For a cool look during the fall, wear your black skinny jeans, folded at the knees, with a checkered seersucker overcoat, black and white sneakers, and a white t-shirt. 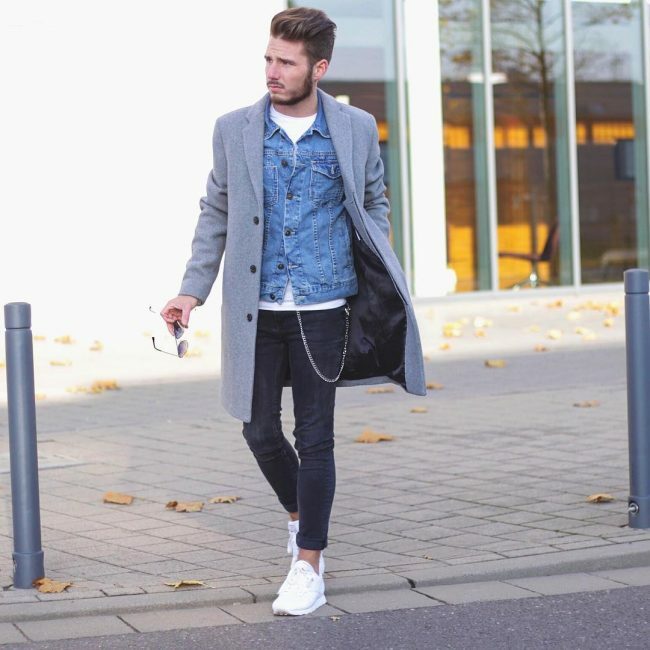 Add a black jeans jacket for extra style.